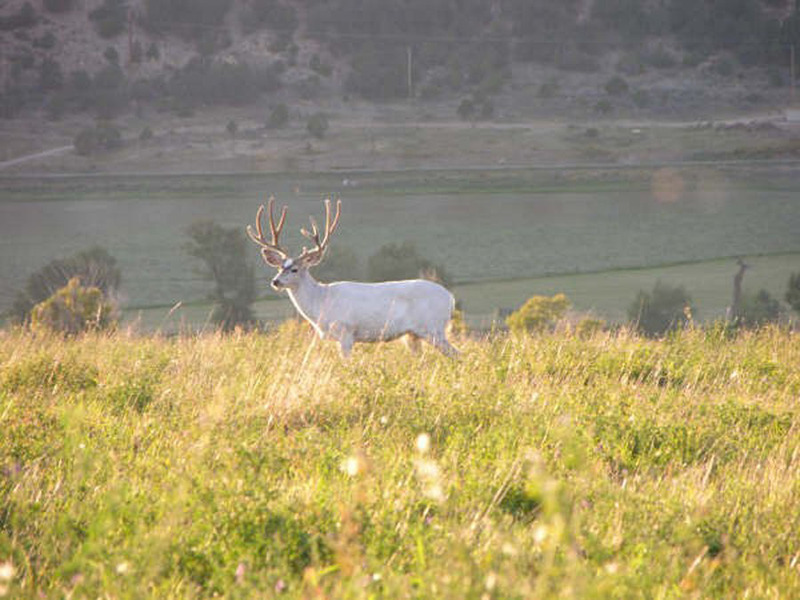 Sad Goodbye to Meeker's beautiful White Buck. His body was found by a Meeker resident on Saturday, November 18, 2006. 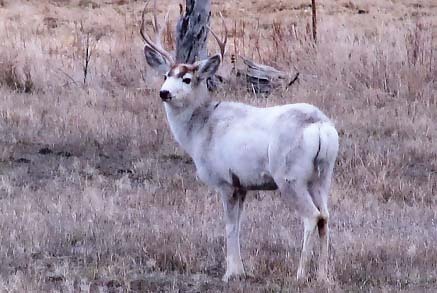 He made it through hunting season, thanks to a lot of people keeping an eye on him and keeping hunters away from him, but was killed by predators. 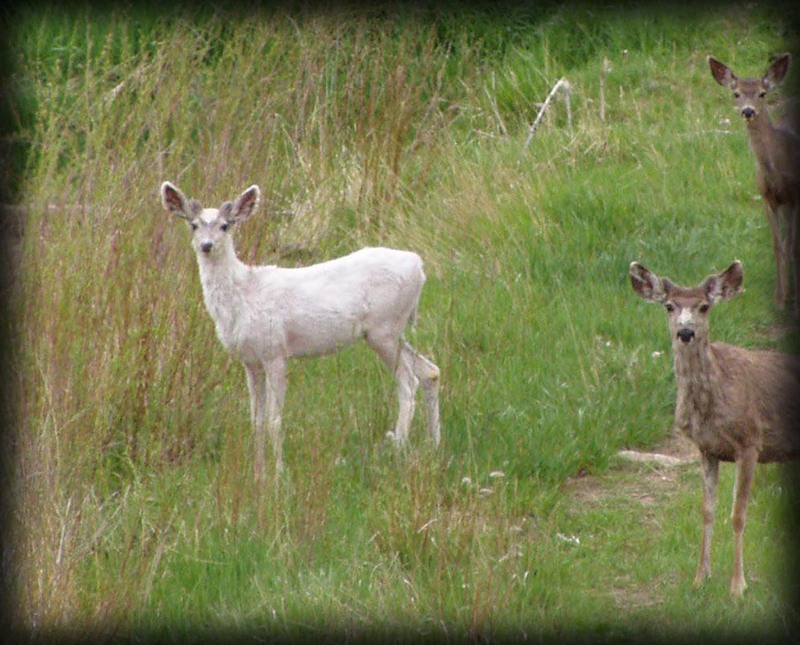 Even for an animal as beautiful as this, nature sure took its course. Obviously the predators didn't care what color he was! 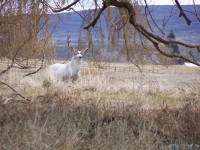 He was mounted and is on display at the Colorado Division of Wildlife Service Center in Meeker. 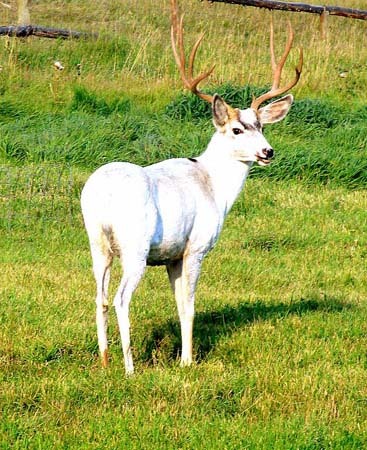 Rare "Almost" Albino (Piebald)Mule Deer Buck was spotted just a mile from Meeker on May 15, 2004. 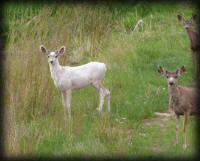 Here's the same deer - Fall, 2005. He's grown into a 4 point & has had his picture taken a lot! Photo by Kay Bumguardner. 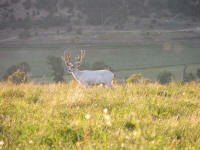 Note: He's "off limits" to all hunters! 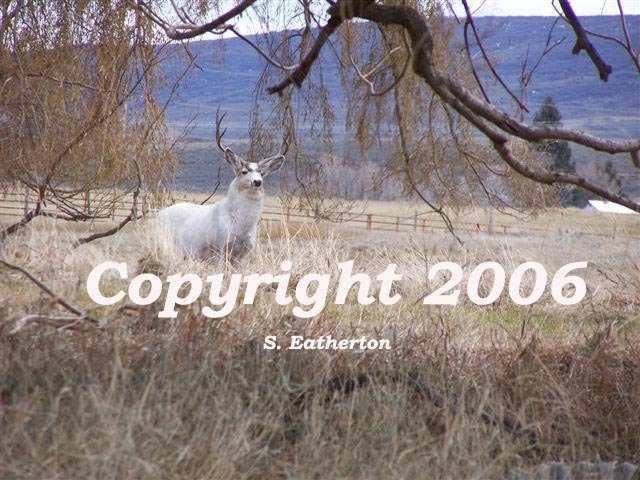 Hunting season 2006 is over & the White Buck is still here & looking extremely healthy. 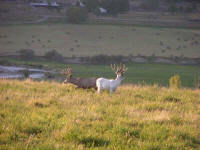 He's been seen with quite a lot of girlfriends this fall! Here's our Piebald (almost Albino) Buck again in the early Fall of 2006. What a beautiful sight!